Whenever our support team comes across a bug or a feature request for your app, we'll log an issue. You can access a list of the current issues on your app in the Developer Platform under the Issues tab. 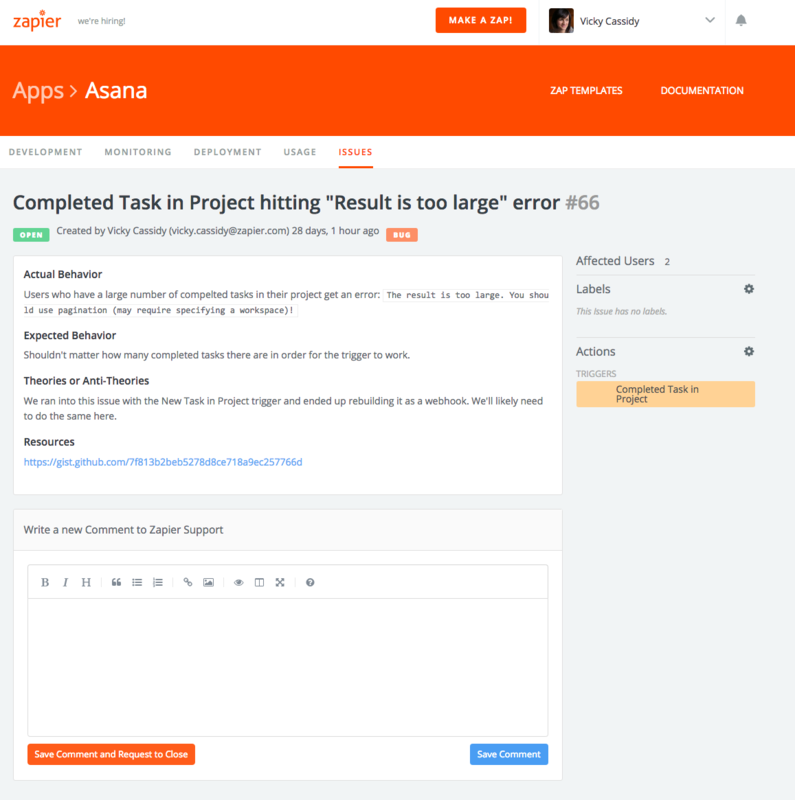 Clicking into an issue will give you more details and allow you to respond back to the Zapier team. 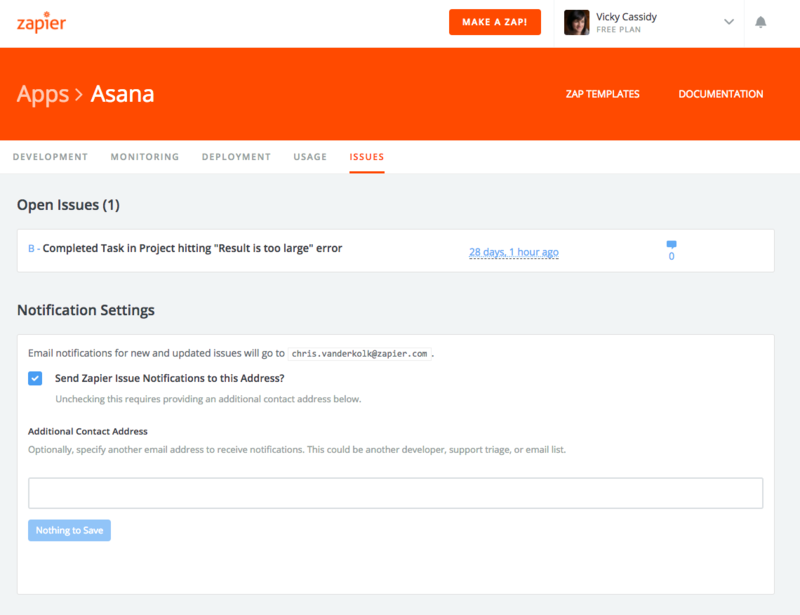 There are two ways to respond to an issue—via the Developer Platform or via email. In the Developer Platform, you can navigate to the issue and add a comment. You can also respond to issues directly via email. For every new issue and comment, you'll get a notification. 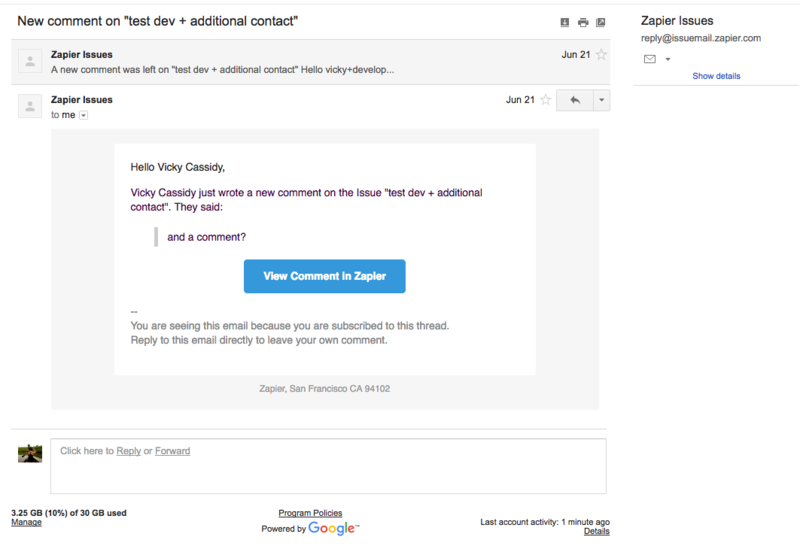 Replying directly to the notification will add the body of your email as a comment in the issue. By default, email notifications will be sent to the developer of the app. On the Issues tab on the Developer Platform, you can add an additional contact to receive these notifications. If you've added an additional contact address, you can also deselect the developer.